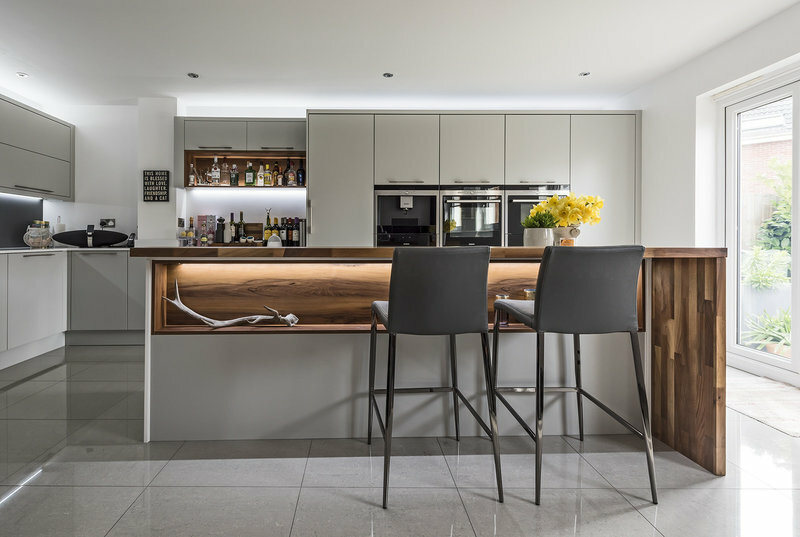 At Portishead Kitchens we want to create the most beautiful rooms for you. Stylish kitchens, bespoke offices and wonderfully clever laundry room solutions. With 25 years of experience in designing and fitting together with our own fantastic team of tradesmen we offer a different experience. We completely project manage your whole installation for you. We offer ranges that are not available elsewhere locally and we are able to source many beautiful additions to your rooms. Our opening hours are 9am-4pm Mon-Fri. Saturdays by appointment. Closed Sundays. Between the hours of 8am-9am and 4pm -6pm during the week and Saturday appointments are allocated for clients in their own homes or site visits and deliveries. All our latest news is on our Facebook page and our website is up to date with a selection of the beautiful rooms we have completed. I am so happy with my kitchen and the level of service. They listened to our brief and came up with a design that suited our budget and our taste. It was exactly what we wanted and it looks fabulous. They are courteous, polite, friendly and have a precise attention to detail that I do not always see elsewhere. We were also not forgotten post fitting, they wanted to know if we were happy - we still are! We have a kitchen now that is so much more than what we had before. Old kitchen and tiles removed, changes made to the electrics, new kitchen fitted and room re-tiled. My experience was excellent, the pre work to choose the new kitchen and appliances was very thorough and enjoyable. All work was carried out as advised by very professional people who I was happy to have in my home. Very happy with the final outcome and cannot think of anything that I would have done differently. Chris and Anna were very patient with 2 old fogies not quite sure what they wanted. Chris came to our house to check that our measurements were suitable to fit a new hob into an old installation space. When we made up our minds the units arrived very quickly. All in all very good service. Advised us on a new kitchen sink, tap and worktop and supplied the same. Put us in touch with their recommended installer who completed the installation in a timely was and to a high standard. Expert advice, lovely very helpful people. Prompt and very professional. Their electrician was also brilliant & professional. Thank you so much Diana for your lovely review. Anna and Chris were so patient and helpful in sourcing the products I needed for my new kitchen project. Lovely prompt service with a smile! Thank you so much Claire for your lovely review. Design, We wanted lots of storage space. Got it. Execution. Exactly as planned and scheduled. Work carried out with minimum of disruption. A truly professional job. Congratulations to Anna, Chris & Dave. We couldn't be happier with our new kitchen. Such friendly but professional service! No job was too big or too small. We would highly recommend Portishead Kitchens! From general enquiry to final hand over ,the kitchen project was made easier with Anna & Chris than we thought it would have been. PK have created a kitchen we never thought we could ever have. Sticking to our budget, a kitchen was designed to be user friendly and practical as well as stunning. Patient, professional and friendly, I would highly recommend them. Thank You. Thank you so much for taking the time to leave this fabulous review, we are delighted that you are so happy.